I bought this shampo from Rustic Art after using their Aloe shampoo. Read on to know how this one fared. Ingredients: Demineralized aqua,Disodium Laureth Sulfosuccinate,Cocamidopropyl Betaine,Alpha Olefin Sulphonate,Disodium Cocoamphodiacetate Laurydimonium,Hydroxypropyl Hydrolised Wheat Protein,Sodium Cocoyl Glutamate,Cynodon Dactylon,Ascorbic Acid. 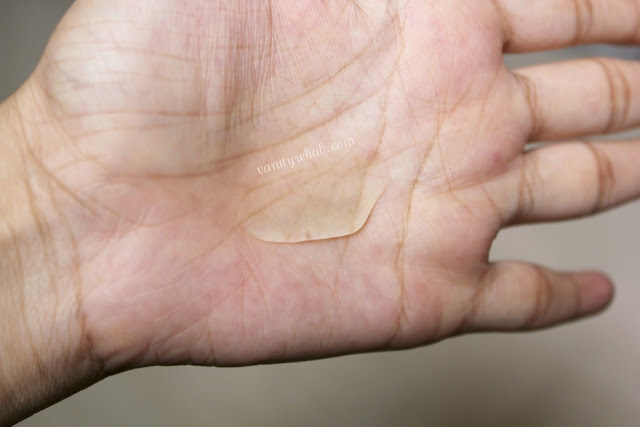 Consistency: Thick transparent non-runny liquid. Packaging: Sturdy. Flip cap shuts tight and you can travel with it safely. The bottle's shape and packaging have changed now and i hate it. Ingredient Safety: Relatively safe and non-toxic ingredients. Surfactants used are Bio-degradable. *Cynodon dactylon is nothing but the "Durva" grass which is used during Ganesh chaturthi festival in India. In Ayurveda,Homeopathy and Unani medicine,it is used to treat various health conditions. It is known commonly as "Bermuda grass" in other parts of the world. My experience: The consistency of this shampoo is so thick that it is nearly impossible to use it without diluting in water. This one too foams a lot like the Aloe one and here too the credit goes to surfactants and foam boosters used. But,this shampoo did not give me the results like the Aloe shampoo did. This one weighed down my hair and made them look limp,frizzy and lifeless(I did not apply any oil before shampooing). And the same thing happened to my sister too who has dry,frizzy and voluminous curly hair. Cynodon dactylon or "Durva" is the only 'herbal' ingredient used and being the last but one ingredient after that many surfactants and foam boosters, it serves no real purpose in this shampoo. Relatively Safe,Non-toxic and Sustainable ingredients. Makes hair limp,frizzy and lifeless. Safety of some surfactants and foam boosters listed are in conflict. My Conclusion: To be honest, i did not like this shampoo. Don't get lured by "Cynodon dactylon" or 'Durva' in the ingredient list.Try their Delight Biodegradable Aloe Shampoo instead. 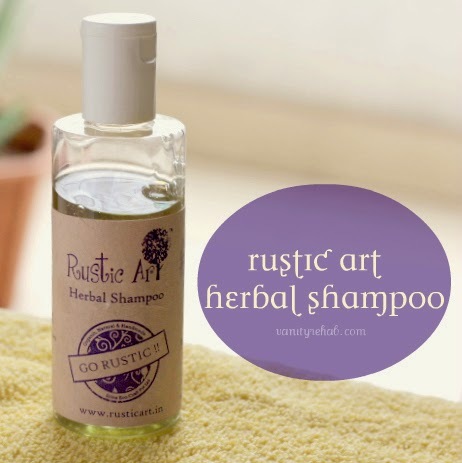 Have you used the Rustic Art Rejoice Herbal Shampoo? Have you had the same experience or was it a pleasant one? Please share.